Kioti Tractors are pleased to announce their entry into the subcompact tractor market with the launch of their highly anticipated CS2610 model tractor. 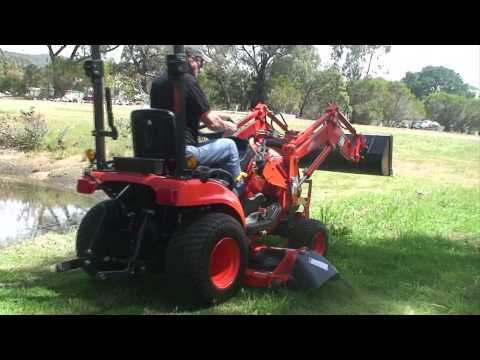 While subcompact tractors are a relatively new tractor category, they are designed for residential use. Lifestyle blocks have grown in popularity over the past 10 years and the CS2610 subcompact will be unbeatable for homeowners who do their own yard work, doing almost everything from mowing or loading, to mulching or digging. With a 26 horsepower diesel engine, this gives you a large power output with low fuel consumption for cost-conscious operation. The PTO is among the highest in this size class, giving owners the ability to power a multitude of implements.